At CTH, we pride ourselves on, the ability to offer training providers extensive teaching resources. One way we do this is through our CTH Student Study Guides. Our Study Guides give teachers and lecturers a thorough understanding of the units, which in turn allows them to provide students with clear and enjoyable learning experience. With help from the team, we were able to make available two chapters of our Student Guides and show you some of what we offer our CTH Approved Teaching Centres. 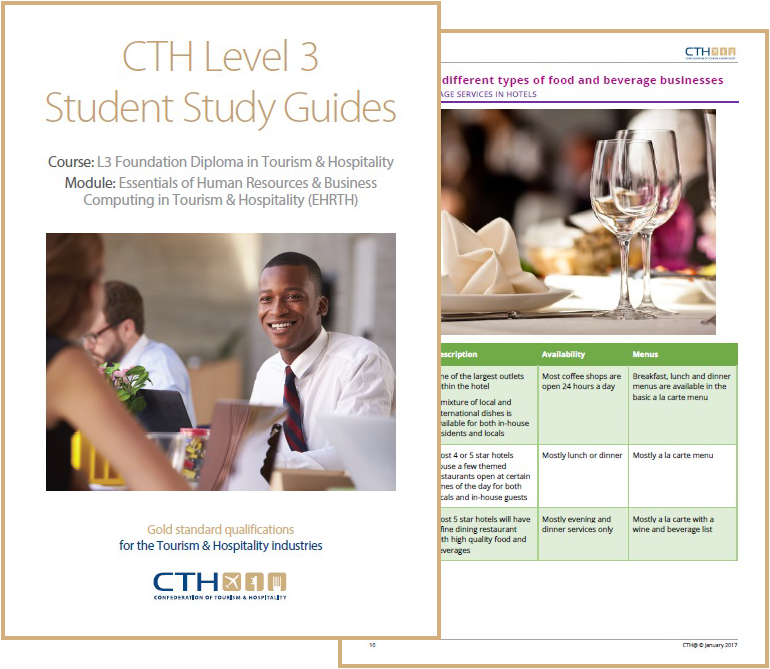 Take a look by downloading your CTH Student Study Guide sample today! The entire CTH curriculum is lively and the advantage is that it can be moulded in such a way that students enjoy the learning experience.